India is a country which made a remarkable contribution to the aerospace field and space research. Top aerospace companies in India have a vital role in the world aerospace market. Even though the aerospace industry in India made less improvement when compared with other competing countries. 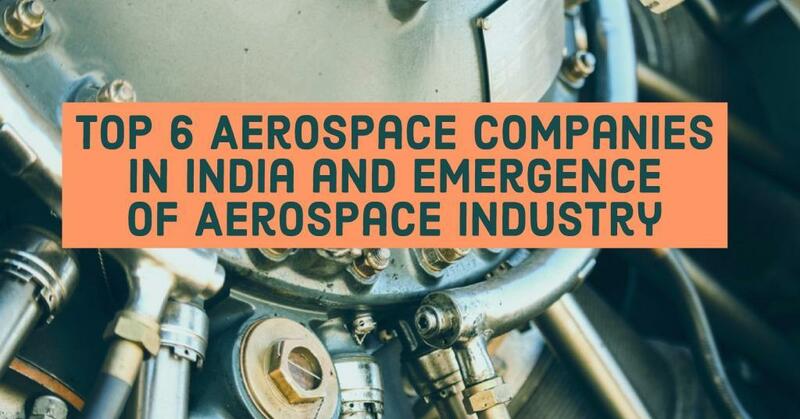 In recent years many new companies are emerging in the aerospace field and many top aerospace companies in the world are starting up their office in India. 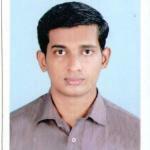 These boom in the aerospace industry give a lot of new promising projects in this field. This growth showing that Indian companies will play a major role in future aerospace technologies in the world. Here are some of the top aerospace companies in India and their ongoing projects. HAL was started as Hindustan Aircraft Company by an Indian industrialist Walchand Hirachand on 23rd December 1940. It was started with the aim of manufacturing aircraft in India. HAL started its business by manufacturing of Harlow Trainer, Curtiss Hawk Fighter and ‘Vultee Bomber Aircraft’ in collaboration with the InterContinental Aircraft Company of USA. HT-2 Trainer aircraft was one of the first indigenously designed and manufactured aircraft by HAL this was a remarkable point in the history of aerospace industry in India. Two seaters ‘Pushpak’, HF-24 Jet Fighter ‘(Marut)’, the HJT-16 Basic Jet Trainer ‘(Kiran)’, ‘Krishak’ are some of the other indigenously developed aircraft by HAL. HAL has now actively involved in space research-related equipment for ISRO, Research, Repair, and overhauling of Gas turbine engines. Manufacturing of SUKHOI 30 MKI Aircraft with licensing from Russia, Research in composite materials etc. Now it is one of the top aerospace company in India. Boeing took part a major role in India’s civil aviation sector for a long time. The first airlines in India Tata airlines were operated with a DC-3 aircraft. The world leading aerospace company is one of the top aerospace company operating in India. From 1940 Boeing was a part of Indian Airforce also. Presently P-8I maritime surveillance, Boeing’s C-17 Globemaster strategic airlifters, and anti-submarine aircraft are playing an important role in India’s Defense sector. Recently Boeing India took part in research and development of development of an indigenous aerospace and defense systems. Boeing is now made a partnership agreement with Tata Advanced Systems Limited (TASL) to develop Unmanned Ariel Vehicles. Boeing started a plant in India to manufacture critical parts for the Chinook Heavy Lift Helicopters. Boeing is taking part in research and development of modern technologies with the partnership of Indian organizations and universities. Boeing India started collaborative research with National Aerospace Laboratories (NAL) in Bangalore, Indian Institute of Science (IISc) and Indian Institute of Technology (IIT) Kanpur in the field of aerodynamics, materials, and sciences for structural alloys, smart materials, and structures, process modeling and simulation etc. In 1983 government of India decided to start Integrated Guided Missile Development Program. The aim of this project was to achieving self-sufficiency in missile technology and developing of intermediate-range and short-range missiles. In 1998 India and Russia came up with an agreement in the defense sector this made the way for the BRAHMOS. The word ‘BRAHMOS’ came from the first letters of river Brahmaputra and Moscow. The aim of this agreement was to develop world’s only supersonic cruise missile system. Now BRAHMOS is world leading brand in missile technology and a top aerospace company in India. Team Indus is the Indian presence in the Google Lunar X Prize mission announced in 2007. By executing India’s first privately funded moon mission Team Indus is a newly emerged top aerospace company in India. The Google Lunar X Prize is to develop low-cost space exploration robots. To win the prize the first privately funded team to place a spacecraft on the moon surface, travel 500 meters on the surface and send back videos and photos from the moon. Team Indus already developed the exploration robot and they got a reward of one million USD for testing their landing system. They are all set for landing the rover in Mare Imbrium, a vast lava plain in the moon. Rolls Royce is leading name in aircrafts engines and aerospace manufacturers. The company was started as a car manufactures in 1904. During the First World War, Rolls Royce designed its first aero engine ‘The Eagle’. Rolls Royce India has engineering centers Bangalore and Pune in India. Rolls Royce has a joint venture with HAL they manufacture engine components. The joint venture made the Rolls Royce one of the top aerospace companies in India which manufacture components like compressor shrouds and cones for our gas turbines. BEL is a government of India owned aerospace equipment manufactures. The company is a part of India’s aerospace and defense sectors for six decades. The company was started in 1954 with the aim to develop indigenous technologies. By providing radars used in Indian defense systems, weapon locating Radars, Battlefield surveillance radars, Communication devices, Electronic equipment in missiles developed by DRDO, BEL became one of the top aerospace companies in India. Electronic warfare systems like Samyukta electronic warfare system, F-INSAS was also developed by BEL.